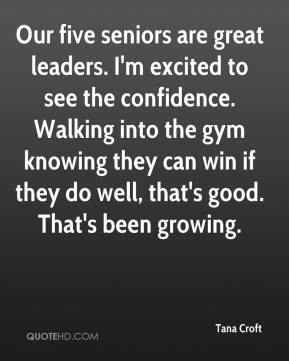 Our five seniors are great leaders. I'm excited to see the confidence. Walking into the gym knowing they can win if they do well, that's good. That's been growing.